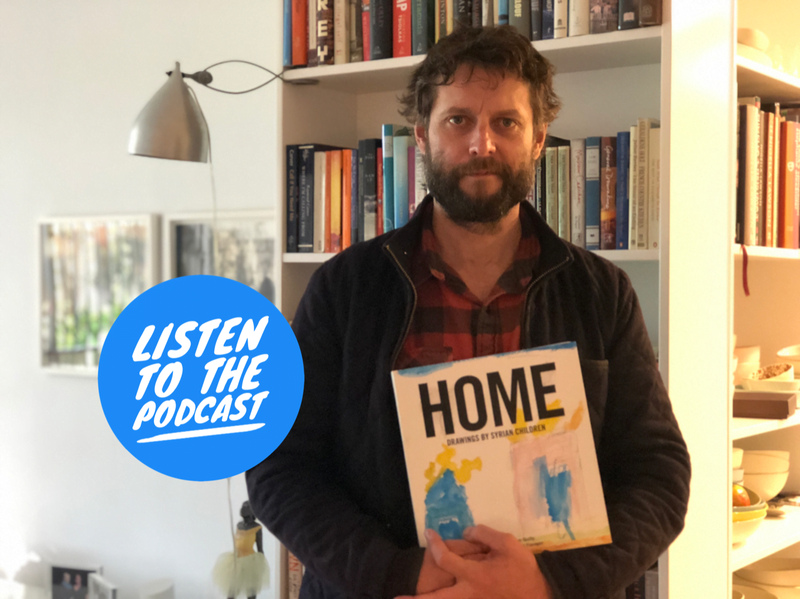 This week Cheryl Akle is joined by award-winning artist Ben Quilty to discuss his heartbreaking and awe-inspiring collection of drawings by Syrian children – Home. The collection stands as a testament to the resilience of a generation of survivors whose childhood has been shaped by the worst war of our century. Together they discuss the power of art to enact change and help others. Ben Quilty is an Australian artist and corporate trustee, who has won a series of painting prizes: the 2014 Prudential Eye Award, 2011 Archibald Prize and 2009 Doug Moran National Portrait Prize. I enjoyed very much this interview with Ben Quilty. My husband and I really enjoyed seeing two wonderful paintings. The first painting was in a competition, thought it was the Archibald at Art Gallery of NSW and it was filled with so much detail, humour of a man on a bike carry so many bits and pieces like binocular’s and maps etc etc. Loved this painting. We also saw Ben’s painting which won the Archibald prize with portrait of Margaret Olly. We had seen her portrait twice painted by William Dobell. Ben’s painting capture this wonderful eccentric lady in so many colours and light shining through revealing her personality which was delightful, funny, honest, vibrant and passion in art. I enjoyed hearing Ben’s story of his life growing up and how he wanted to study art and how he progressed with this career.